I am a self confessed lover of all things in the Mexican cuisine. I can eat Mexican all day everyday for the rest of my life. And one of my most favoured things from Mexican is the Guacamole. It is the best ever dip in the world and it's healthy too. So today I decided to share my personal recipe for Home Made Guacamole. 1. Use a large knife to pulverize the tomato to a pulp on a board, then tip into a bowl. Halve and stone the avocados (saving a stone) and use a spoon to scoop out the flesh into the bowl with the tomato. 2. Tip all the other ingredients into the bowl, then season with salt and pepper. Use a whisk to roughly mash everything together. If not serving straight away, sit a stone in the guacamole (this helps to stop it going brown), cover with cling film and chill until needed. Scatter with the coriander, if using, then serve with tortilla chips or spicy wedges and sour cream. It's so easy to make. I would make it everyday if the avocados weren't as expensive. And to be honest it's so healthy as well. Let me know your feedback if you decide to try out the recipe. If you have an easier one feel free to share it with me in the comments down below. This recipe looks so delicious! 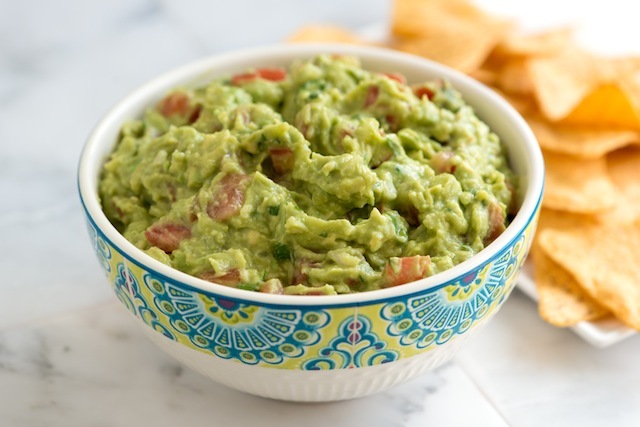 I absolutely LOVE guacamole, so I need to make this. I'm going to make Mexican food at the weekend, just for an excuse to have this.